Aerial photo of Grand Coulee Dam.GRAND COULEE, Wash. – The Bureau of Reclamation awarded a $4,494,290 contract on September 18 to Brooklyn Iron Works, Inc., a small business from Spokane, for a supply of one set of main unit steel stoplogs, and still to be determined, an optional second set of stoplogs. Reclamation is purchasing a set for $2,277,740, and the optional second set is $2,216,550. The contract requires supplying one complete set of steel stoplogs, along with custom lifting slings. Brooklyn Iron Works, Inc., has served federal, state, and local governments as well as global commercial, industrial, and residential customers for more than 35 years. Their services include construction of simple steel buildings to complex mining equipment and intricate bridges. 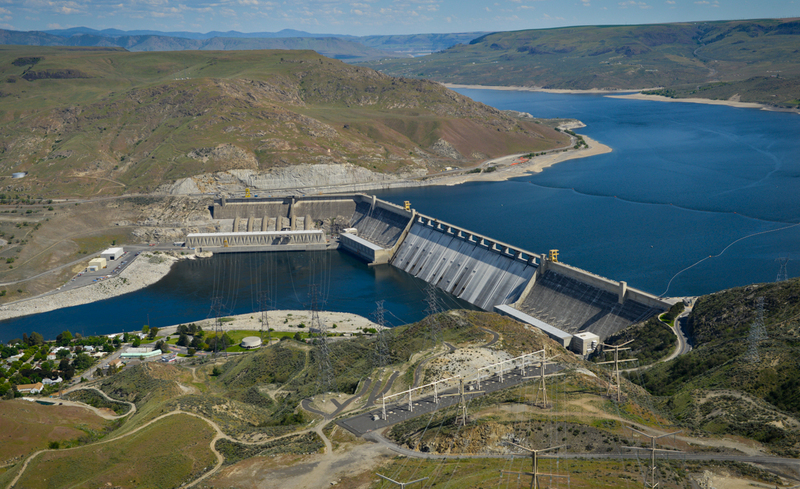 Grand Coulee Dam, completed in 1941, is located on the Columbia River about 90 miles northwest of Spokane. It serves as a multipurpose facility, providing water for irrigation, hydroelectric power production, flood control, fish and wildlife, and recreation.